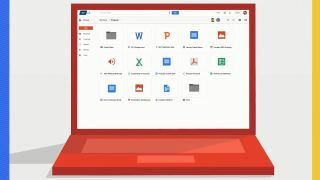 Google revealed some more details about its recently released Google Drive for work service which was announced at Google IO developer conference in June. In a http://googleenterprise.blogspot.co.uk/2014/08/hotter-than-your-morning-coffee-google.html company blog, Scott Johnston, Director of Product Management, Google Drive said that more than 1,800 businesses have been signing for Drive for Work over the last eight weeks. At least one of them - UK-based builders' merchant and home improvement retailer Travis Perkins - has stored and shared more than one million documents online. What's more, Google Drive has enjoyed a 99.985% availability which, according to Johnston, amounts to less than 90 minutes downtime per year. 190 million people are using Google Drive at the last count (probably nearer to 200 million now) with 5 million companies using Google Apps for Business which means that Drive for Work has been adopted by 0.3% of Apps users. Drive for work can store files of up 5TB in size and offers unlimited storage for corporate and enterprise users for $10 (about UK£6, AU$11) per user per month. Google's service competes with Box, which is used by 27 million users and 240,000 companies, as well as Dropbox, which is even larger with 300 million users and four million businesses.